Hummus Plus, is a combination of cooked chickpeas and simmered Fava beans mixed with Tahini (Sesame Paste), Organic Garlic, Organic Onions, Organic Lemon Juice, Extra Virgin Olive Oil and Spices. 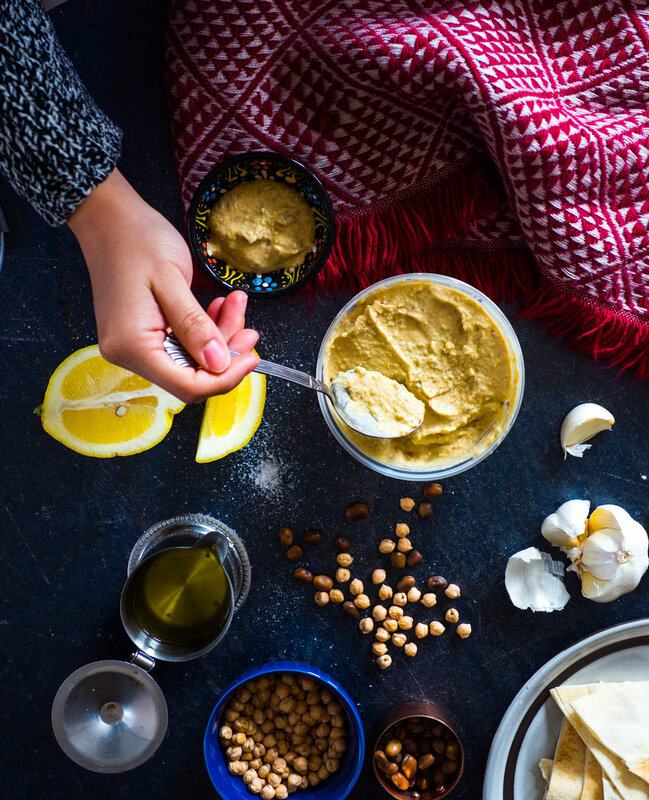 Hummus is a wonderfully nutritious dip made from Dry Chickpeas Puree, Tahini (Sesame Paste), Organic lemon Juice, Extra Virgin Olive Oil, Fresh Garlic and Spices. Varieties include: Original Hummus, Roasted Red Pepper Hummus, Kalamata Olive Hummus, Sun-Dried & Basil Hummus, Hummus with Jalapeno. Baba Gannoush is Pureed Smoked Roasted Eggplant with Tahini,organic lemon juice, extra virgin olive oil and fresh garlic. This dip,an alternative to hummus,is delicious spread of fire roasted red pepper, toasted walnuts, organic lemon juice and a touch of spice, offset by pomegranate molasses. Spread on sandwiches or pair with grilled chicken or fish. Just delicious. It is simply the best and there is no substitute. Grape leaves stuffed with a tantalizing mixture of rice, onions, dill and mint. These can either be a main dish or an appetizer, depending on your appetite. or raw vegetables. Provide a sample taste and the orders will roll in.